The Russell Hobbs Performance Pro range is perfect for the passionate home cook. 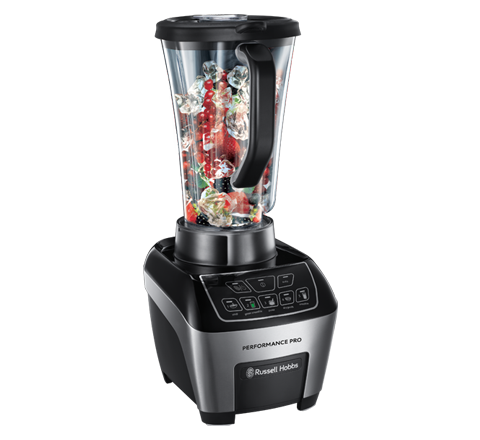 The Performance Pro jug blender and food processor are the must-have products for adventurous cooks who are looking for chef-inspired equipment to take the hassle out of food preparation and to create restaurant-quality meals at home. Not only does the Performance Pro range deliver fast results it also looks stylish in any kitchen. “Due to a resurgence of cookery shows across Europe, home cooking has become more aspirational than ever. People are searching for ways to create restaurant-quality dishes at home, whether it be for a family meal or dinner party, and they want their appliances to help them achieve this. I use the Russell Hobbs Performance Pro range at home – the products are of a professional quality, look stylish and have the added benefit of speeding up the time it takes to make meals, giving me more time to relax after a busy day in the kitchen at work”. 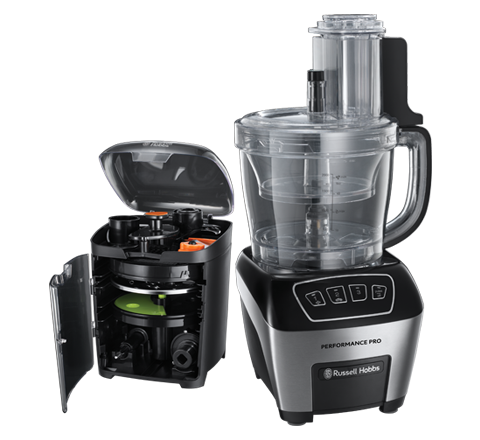 From simple meals to experimental dishes, this advanced food processor can chop, shred, grate, whip and beat ingredients in one unit to the exact consistency you need. It's great for making everything from batters for cakes to mincing meats. It even has an adjustable slicing disk for cutting food to the thickness or thinness you desire. Its dicing attachment can be used for shaping carrots and potatoes for better presentation, which is perfect for impressing your dinner party guests. This unique tri-lobe shape maximises vortex which means ingredients that would normally stick to the sides during the blending process, are fired back into the centre of the jug. It's exactly the type of appliance a professional would choose to use at home.